A bit about me: I am a mother of a wonderful five-year-old boy. I am also a cat-mom to two awesome and energetic cats. While children and cats are obviously not the same, I couldn’t help but notice that there are some striking similarities between them. I started thinking about all of the ways that cats are like preschoolers, and came up with many more examples than I imagined I would. The following are just 18 of them. If you have young kids and cats, I’m sure you know what I’m talking about! I’m not sure how I manage to keep up with either of them. They just do not get tired. Run around and play all day with no breaks? That’s the name of the game! Preschoolers and cats are not too keen on change. 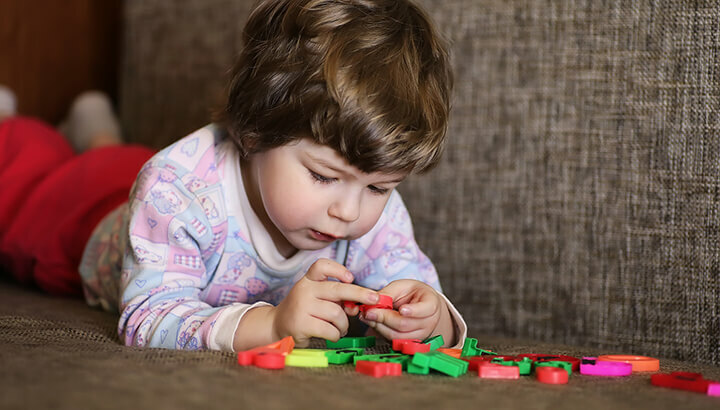 If mealtimes are off, bedtime is delayed, unexpected chores come up that detract from playtime, or, heaven forbid, you have to move to a new house, preschoolers become at best concerned, and at worst hysterical. Cats are much the same. If their meals are even five minutes late, they will scream (at least mine do). If you have to move, cats are the unhappiest of campers. Oh, cats also don’t like when I move any sort of furniture. My son handles that one better, although there are always many questions involved. With preschoolers and cats around, it’s important to watch carefully where you walk. Both will zip right through your path with no warning at all. I have tripped over my child and my cats at many a juncture. They always seem so surprised, and I feel terrible… but they keep zooming in front of my feet all the same. Cats and toddlers are both fascinated by cardboard boxes. Children and cats are both huge fans of cardboard boxes. 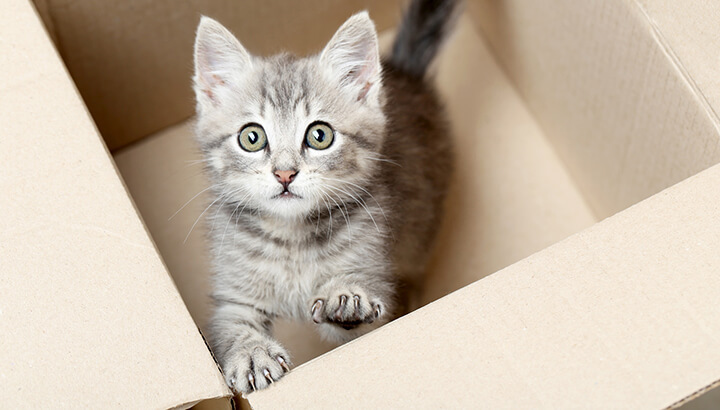 If an empty cardboard box is left on the floor, they will happily climb in. One of the cats, however, becomes much more territorial of the box than my son and our other cat. Once she’s entered the box, it’s her box, and she will defend it. It doesn’t matter if they just ate. It doesn’t matter if they’re currently eating, or if their food is very similar to yours. They want what you’re having, and they will make these desires known loudly. I admit that I sometimes make my lunch quickly while my son is distracted in his room to avoid being harassed… but the cats are not so easy to get past. My son has recently gotten a little bit better with this, but the toenail-clipping night is still a struggle. There is yelling, bargaining and sometimes tears. Same with the cats… minus the tears part. A lot of unhappy yowls though. And, they have very strong back feet. Sigh. The human child likes to run up and hang from my neck and shoulders with no warning. The cats like to clutch onto my ankles, hang on and bite my feet. Pretty much the same thing… except for my son thankfully does not bite. 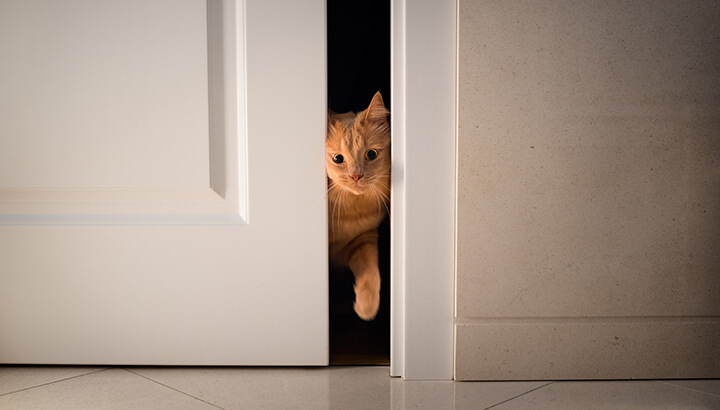 Cats and toddlers both like to open closed doors. Little fingers, little paws, sometimes a toe… you’ll find these protruding through the crack under the door. So much for privacy. Sneaking up behind my son and giving him surprise hugs is fun, but sometimes ends up with his head banging into my face or rib cage (he gets very excited). Likewise, sneaking up behind my cats and giving them cuddles sometimes leads to kitty kicks, or clawings. Worth it. Both the child and the cats love strings of beads… there’s just something about these objects that fascinate them. My son likes to leave necklaces, bracelets and pieces of yarn with beads threaded onto them hanging from his furniture. The cats, in turn, find these items, bat at them and chew them. It’s a symbiotic relationship. For my son, it’s light-up sneakers, light-up toys, light up anything! The cats like these, too… but the laser pointer is the absolute favorite (though one cat likes it much more than the other does). Birds, squirrels and bunnies are the ultimate entertainment. Cats and toddlers hide their toys in random places. They’re often impossible to find when I’m looking for them, but they’ll turn up behind the couch, under a counter, etc. Kid toys and cat toys alike. It’s like a shot of pure caffeine for them. They get so excited when it snows. The child will clutch my legs and smile shyly. The cats will run off and hide. Preschoolers have loud, shrill voices, stomping feet and endless arguments. Cats also have loud, shrill voices, dangerous claws and majestically glaring eyes. At the end of the day, it’s all hugs and cuddles — and I am eternally grateful. 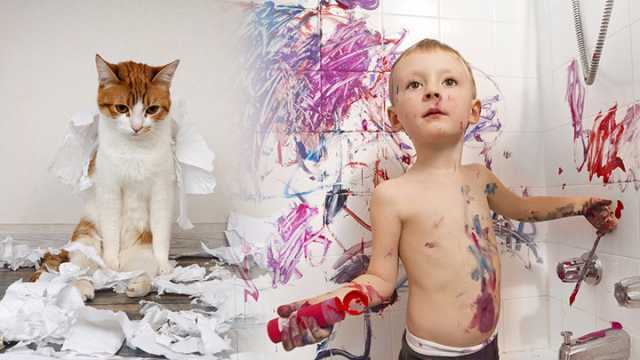 Hey Buddy!, I found this information for you: "18 Ways Cats Are Like Preschoolers". Here is the website link: https://www.thealternativedaily.com/cats-are-like-preschoolers/. Thank you.